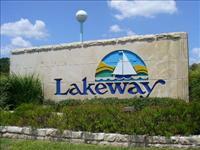 Lakeway is located along the shores of Lake Travis provides incredible lakefront views to its residents. Lakeway is located south of Lake Travis and is only 30 minutes from Austin-Bergstrom International airport and 25 minutes from Downtown Austin. Homes in Lakeway offer some of the most stunning views in central Texas. Lakeway's amenities include many great shopping options at the Hill Country Galleria and several professional golf courses nearby. Students in Lakeway receive a world-class education Lake Travis ISD schools. The high school football team has won several state championships and the student body boasts above average test scores and an excellent music program. Updated: 23rd April, 2019 8:16 PM.